In the wake of his breakout success, West earned a whopping ten nominations at the 47th annual Grammy Awards, held in early 2005. The College Dropout won the Best Rap Album award, “Jesus Walks” won Best Rap Song, and a songwriting credit on “You Don’t Know My Name” for Best R&B Song award was shared with Alicia Keys and Harold Lilly. Later that year, West released his second solo album, Late Registration, which spawned a series of hit singles (“Diamonds in Sierra Leone,” “Gold Digger,” “Heard ‘Em Say,” “Touch the Sky”). The album topped the charts, as did the “Gold Digger” single, and Late Registration eventually won a Grammy for Album of the Year. West’s production work continued more or less unabated during this time; particularly noteworthy were hits for Twista (“Overnight Celebrity”), Janet Jackson (“I Want You”), Brandy (“Talk About Our Love”), the Game (“Dreams”), Common (“Go!”), and Keyshia Cole (“I Changed My Mind”). 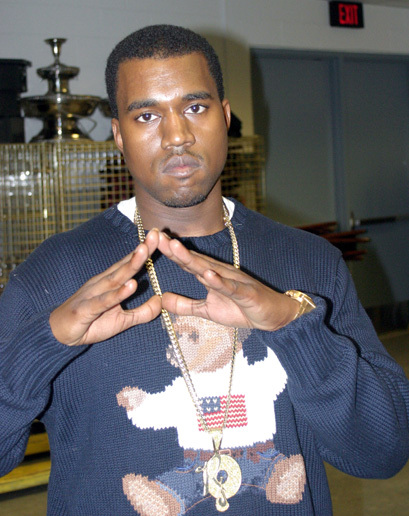 West also founded his own label, GOOD Music (i.e., “Getting Out Our Dreams”), in conjunction with Sony BMG. The label’s inaugural release was John Legend’s Get Lifted (2004), followed one year later by Common’s Be. In addition to all of his studio work, West also toured internationally in support of Late Registration and released Late Orchestration: Live at Abbey Road Studios (2006) in commemoration. After retreating from the spotlight for some time, West returned to the forefront of the music world in 2007 with a series of album releases. Consequence’s Don’t Quit Your Day Job and Common’s Finding Forever, both released by GOOD, were chiefly produced by West; the latter proved to be particularly popular, topping the album chart upon its release in July. And then there was West’s third solo album, Graduation, which was promoted well in advance of its September 11 release (a memorable date that pitted Kanye against 50 Cent, who in one interview swore he would quit music if his own album, Curtis, wasn’t the top-seller). A pair of singles — “Can’t Tell Me Nothing” and “Stronger,” the latter an interpolation of Daft Punk’s 2001 single “Harder, Better, Faster, Stronger” — led the promotional push. It became his third consecutive chart-topping album, and its success culminated in eight Grammy nominations. West was the victor in four of the categories, and he performed two songs during the ceremony, including Late Registration’s “Hey Mama,” chosen in honor of his recently deceased mother. That loss, compounded by a breakup with his fiancée, informed 2008’s 808s & Heartbreak, a major change of pace that saw West singing most of his emotionally pained lyrics with the assistance of Auto-Tune. As polarizing as it was, it went platinum.